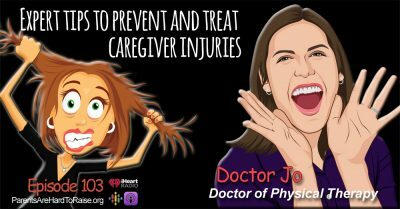 Every eleven seconds, another older adult will be rushed to a US emergency room as a result of a fall… And by the time you finish listening to this episode, two of those people will die as a result of their injuries. This week on Parents Are Hard To Raise… Dr. Robert Wood, Falls Prevention Expert, and Director of the School of Allied Health Sciences at Boise State University, is here to share his research and findings, and tell us some really cool things we can do right now to keep our aging parents from becoming just another statistic. This is a must hear episode. [00:00:00] The world’s becoming a dangerous place for us women. Lipstick bodyguard looks just like an innocent little lipstick but it will instantly drop any attacker to his knees so you can get away unharmed. Lipstick bodyguard… Fear no evil. Get yours today. Only at lipstickbodyguard.com. Announcer: [00:00:37] Every 11 seconds another older adult will be rushed to a US emergency room as a result of a fall. And by the time our show is over two of those people will die as a result of their injuries. 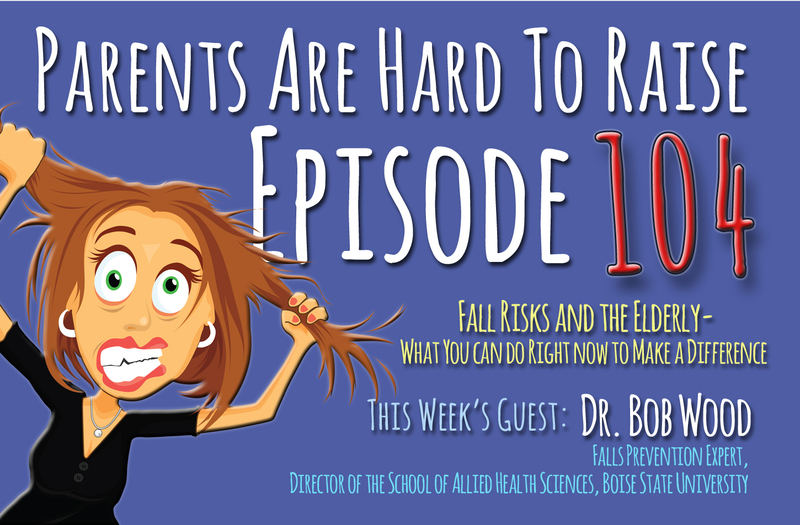 This week on Parents Are Hard To Raise®… Dr. Robert Wood, falls prevention expert and director of the School of Allied Health Sciences at Boise State University is here to share his research and findings and tell us what we can do to keep our aging parents safer. [00:01:08] Join 180 million monthly subscribers who can now listen to Parents Are Hard To Raise® on Spotify. Diane Berardi: [00:01:26] Welcome to Parents Are Hard To Raise®. Helping families grow older together without losing their minds. I’m elder care expert Diane Berardi. [00:01:35] Dr. Robert Wood is the director for the school for allied health sciences at Boise State University. He earned his PhD in kinesiology at LSU. Dr. Wood’s research has largely focused on aging of the autonomic nervous system and prevention of falls in older adults. His work has been funded through the National Institutes of Health and Centers for Disease Control and Prevention and as one of the top experts in fall prevention, we’re so glad he made time for us on Parents Are Hard To Raise®. Bob, welcome to Parents Are Hard To Raise®. Dr. Bob Wood: [00:02:14] The pleasure is mine. Diane Berardi: [00:02:33] So the statistics Dolly was quoting a little while ago are unbelievable, it’s staggering. A simple thing like tripping on a rug or missing a step can change our parents life. Dr. Bob Wood: [00:02:48] Yes. That’s right. It’s in fact when. When we go out into the community for people over the age of 65 it’s 1 in 3 adults will fall each year. And you know so we have this little thing we say where. Take a look to your left. Take a look at your right one of you will fall. Now don’t push the other person over in hopes that it won’t be you. But at eighty-five it goes to 1 in 2. [00:03:16] So we see there is a real dramatic shift in what we call motor control or our ability to coordinate our movement that happens around age 80. And by the time folks are eighty-five the risk of falls is… It just goes up really precipitously. That folks who may have otherwise even been pretty functional and able to go out and play golf and all these things that age 80 they may suddenly find that they’re having difficulty with balance. Diane Berardi: [00:03:49] I just there’s so many reasons why. [00:04:19] When you’re 20 years old, twenty five years old, the likelihood is that you can stand up out of a chair using just one leg. But by the time you get to that point where it’s hard to stand up out of the chair, that suggests you’ve lost more than half of your leg strength. And a lot of that is attributable to lack of activity rather than age itself. But I think most of the research shows that you know that half of that age related loss in strength is attributed to inactivity but there is some that is absolutely attributable to age. [00:05:00] Then also, multiple systems are declining with age, like our inner ears. 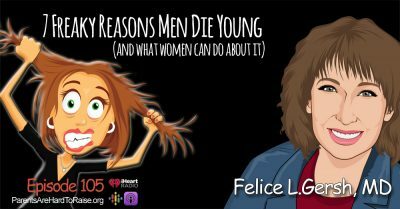 They start to change physiologically at about age 40, we start to lose these things called hair cells, and that those are very important in our balance. [00:05:18] And then vision also begins to decline. Neurologic control of our skeletal muscle we begin to see some deterioration in function. And fine motor skills to find adjustments. [00:05:43] And those are hard to do a whole lot about. I think staying active is important. But other things are like making sure your home is safe. [00:05:51] A lot of falls happened because, as you mentioned, people trip over rugs. Some falls occur because of what we call side effects due to medicines. Diane Berardi: [00:06:04] Right. Okay. Dr. Bob Wood: [00:06:05] And sometimes that can be prevented if people make sure they tell their pharmacists and their physicians if they’re having any kind of side effects. It’s very very important. [00:06:17] Vision Care is really important. What we’ve seen in our research is that people who are maybe lower socioeconomic status. 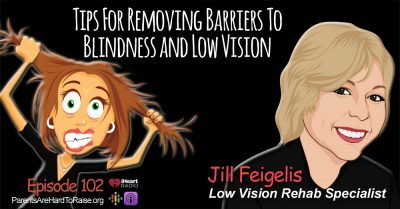 They have more vision related issues and people who are higher economic status have more home hazards. [00:06:36] So you know you might want to kind of you know if I’m thinking about what might I’d be at risk for that kind of information may be helpful for individuals. [00:06:47] If you hear an optometrist say, “I think you can go another year with those lenses.” That’s probably code for, you need new lenses. Right? [00:06:58] So it’s kind of tuning into those things may help people to address some of their risk factors. And their other risk factors as well. [00:07:09] Those are probably the primary ones but things that you would normally associate, like well, hearing.. Hearing deficit. [00:07:18] Also, certain medications are more troublesome than others. If you take stuff to help you sleep or for anxiety and that kind of stuff they’re pretty high up there in terms of their risk of falls. [00:07:33] So there are a number of things. Some are modifiable and some are not. Diane Berardi: [00:07:40] I know also we were mentioning getting up out of a chair. I watch my dad, he just tries to get up so fast. You know. And then he kind of teeters back. [00:07:52] Yeah. Yes this is common. There are folks who if they stand up too quickly. They they’re blood kind of shifts from their upper body down to their legs. And they get a lack of blood flow to the brain and it causes them to be dizzy, and fall. [00:08:13] This is not uncommon at all. My father has this. So he has you know it took a while to convince him that he should use a walker, but he kept falling early in the morning when he’d first get up. So we negotiated with him that you know just use it when you first get up during the day, because he didn’t want to have to use a walker if he didn’t need one. But he knew he needed one early on in the day when he first got up. So we were able to negotiate that with him and he’s you know he told me hey I was against that at first. But you know he says it just really helped. You know those are the times I’ve fallen in because I now do this, I’m not falling. And so you know there are some things like that. [00:09:02] Also if people are incontinent. That’s a trigger that people get up quickly a and try and run to the bathroom. Dr. Bob Wood: [00:09:11] And so that’s why incontinence is a risk factor for falls. [00:09:15] So it’s really important that people make sure they take their time when they go from either a lying to a standing or sitting to a standing position to make sure that they’re getting proper blood flow circulation to the brain and that they won’t lose their balance. Diane Berardi: [00:09:32] And falls in the bathroom are a big thing. Dr. Bob Wood: [00:09:36] That’s right. So I mean it’s important to have grab bars in your tub, shower, by your toilet. You know I think that if you’re in a, if you live in an area that has AmeriCorps or maybe a Lowe’s program they may have one I don’t know. I know they have some community outreach stuff that they do, where you can get things installed relatively inexpensively, maybe just the cost of the grab bars. [00:10:07] I think those are you know those are options that people should look into. You know if it’s hard to afford that, because everyone knows you know home renovations are not cheap. Dr. Bob Wood: [00:10:19] One of the things we try and do is identify how people can get these done pretty inexpensively. [00:10:26] But you know the thing… The problem is, people wait till they fall to have them installed. Dr. Bob Wood: [00:10:31] I’ve heard it a million times… “Well, I fell, and you know. Thank goodness I didn’t get hurt too bad. So I had stuff installed. Well, you know. In your case thank goodness, but a lot of people have that mindset is they wait till they have the problem before they put in the preventive measure. And that’s just something we’re constantly working with people about. [00:10:54] You know I’ll tell you one of the things that we learned in our research that I don’t necessarily think is intuitive to the family of the person who may fall. [00:11:07] And this is something they told us and they’ve heard this more than once in some qualitative work, is that if somebody falls, they don’t want to be helped… They oftentimes don’t want to be helped up right away. [00:11:22] They don’t want people to come necessarily to their rescue, immediately. Maybe they’re not ready to get up, even if they’re not injured badly. They may just want to take their time. They may need to get themselves oriented. They may not even realize exactly what has happened and where they are. And so they need time and need to maybe communicate with them a little bit about what has happened, where they are. You know what’s going on. Let them take their time. [00:11:52] So in that acute setting with somebody does fall and think how we approach, how we approach those situations is just… You know it’s equally important to the case as you try to prevent falls. [00:12:06] And we’re going to continue talking with Dr. Robert Wood. [00:12:10] But if you’re a woman or there’s a woman in your life there’s something you absolutely need to know. [00:12:17] I want to tell you about my friend Katie. Katie is a nurse and she was attacked on her way home from work. She was totally taken by surprise. And although Katie is only 5 feet tall and 106 pounds she was easily able to drop her 6 foot 4, 250-pound attacker to his knees and get away unharmed. Announcer: [00:14:16] You’re listening to Parents Are Hard To Raise®. Now… Thanks to you… The number one eldercare talk show on planet Earth. 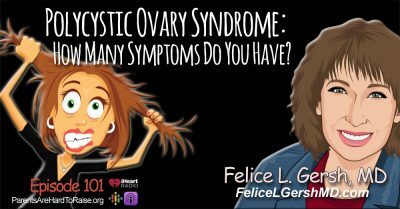 Listen to this and other episodes on demand using the iHeart Radio app. iPhone users can listen on Apple podcasts and Android users on Google podcasts. Alexa: [00:14:45] Getting the latest episode of Parents Are Hard To Raise®. Here it is from iHeart Radio. Announcer: [00:14:51] It’s as simple as that. Diane Berardi: [00:14:52] You’re right Dolly. There are so many really cool new ways to listen to our show. It’s hard to keep track. You can join the one hundred and eighty million listeners on Spotify. You can listen in your car, at the gym, or pretty much anywhere on your smartphone with Apple podcasts and Google podcasts. You can get us on Apple TV, Direct TV, Roku. And like Dolly said, you can even ask Alexa to play the show for you. It’s great, because you don’t have to be tied to a radio anymore. You can listen when you want, where you want, for as long as you want. And if you’re listening to the show one of these new ways, please do me a big favor. Share this new technology. Help someone else learn about the show and show them a new way to listen. [00:15:35] Bob, falls obviously with an injury, carry a heavy quality of life impact. But sometimes falls without an injury make people fearful of falling. And as a result then they limit their activities. Dr. Bob Wood: [00:15:54] Yeah, that’s right. [00:15:55] You know fear of falling is pretty complicated milieu of things that are going on. So in the literature they’re trying to break it out into balance confidence, versus fear of falling. Because balance confidence speaks more to the extent to which somebody believes they can execute activities of daily living without losing their balance or falling. The fear of falling encompasses a whole lot more. And part of that is related to the person’s perception of how their life will be impacted if they fall. [00:16:38] For example, “I’m not going to tell my kids I fell, because then they’ll take away my keys, or they’ll make me get a walker, or my life will in some way… They won’t let me live independently anymore.” And so, fear of falling it also involves the fear of the consequences of falling. Could also be, “I don’t want to be dependent on other people,” either financially or physically for their care. “I’m afraid of that.” That’s something. [00:17:11] So there’s a whole lot of things going on that can also contribute to somebody reducing their activity level. And you’re right. That then makes them at greater risk for falls. So they read you know so they’re more fearful, so they do even less. And you get into the cycle. [00:17:31] And it’s really important that people have kind of safe and effective activities that they’re confident that they can engage in that will kind of stress them at just the right level to where they can maintain optimal function. [00:17:49] And there are some like great programs out there. I really love what people are doing with Tai Chi. OK. I’ve had I’ve gotten some certifications in the Tai Chi Moving for Better Balance. I think that’s a fantastic program, comes out of the University of Oregon with Dr. Fuzhong Li. And then I really like the Tai Chi for people with arthritis. That comes out of somewhere in Arizona, Tucson or Phoenix. With Dr. David [Paul] Lam. [00:18:21] And I really like both of those programs. I’ve gotten certifications in those, and we have implemented those in communities. And we’ve done that in a variety of ways through sustainable programs at no cost to the seniors. And they just love it. [00:18:40] And we have seen people just blossom in those programs. People who are not participating in life. They were socially isolated. You know they were deteriorating. And as a result of these programs they have grown in confidence, they have grown in their social interaction and the relationships. They’ve resumed other activities like church and those kinds of things. And so I think this is really critical and that we need to find ways to be able to make those accessible to more and more people. And if people have a chance they should enroll in these. They should give it a go, because I think they’ll really find it to be enjoyable. Diane Berardi: [00:19:21] Oh yeah. That’s wonderful. I mean it brings new life to the person. Dr. Bob Wood: [00:19:27] We’ve seen it. So great. Great story… Man in one program, really struggling with Parkinsonism. And you know when he first came in, when I was working with students, I was training students. And you know if you know anything about the disease you know what can happen with the mask, face and he looked so angry right? Because that’s how that happens. And he took some students aside and told them you know how his presentation was so painful for him because no one would help him and stores, his grandchildren wouldn’t come sit on my lap. Dr. Bob Wood: [00:20:16] I know! And so… But the students began to see you know kind of a struggle. But he did not want to be treated as if there was something wrong with him. Right? So it’s the kind of struggle that’s going on… So that relationship was just huge in that setting. The relationship he had with the other patients and the students and how much they grew just to love and respect each other. And physically he got to doing much better. And ultimately he wrote a play about Parkinsonism and he didn’t want it to be about the struggle. He wanted it to be about how awesome people are that have Parkinsonism. [00:21:08] And we got dancers to participate. It was just fabulous. Diane Berardi: [00:21:14] Oh, that’s great! Dr. Bob Wood: [00:21:14] And it’s really… So it’s not just about the physical side of it. It’s the whole emotional, social. You know that we need these spaces where people can engage in activities that are healthy physically and emotionally. Diane Berardi: [00:21:30] Yeah. You’re right about that. Now, how would people find programs for their parents in their communities? Dr. Bob Wood: [00:21:40] Yeah. So you know, right now in the states, of course I’m speaking about in the States. 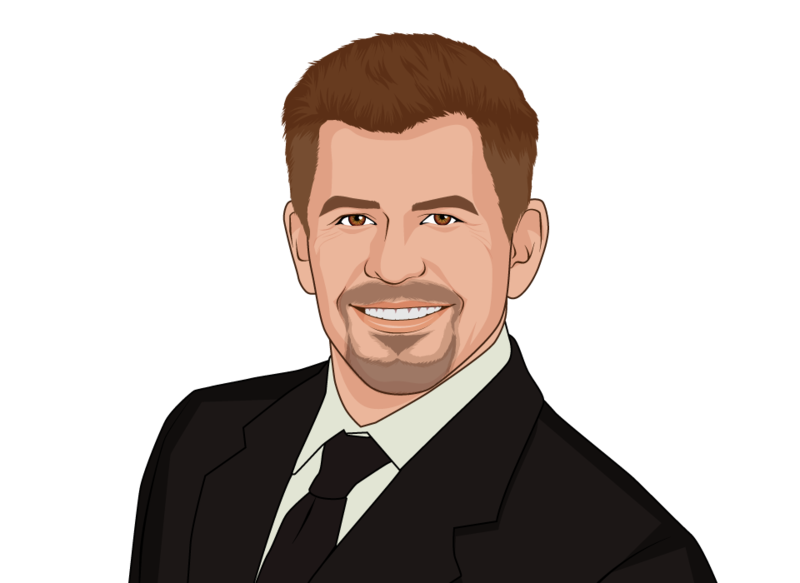 You know that each of the states generally have some money that comes through their injury prevention division of the State Department of Health that is then in some ways making its way down to either county or municipal levels. [00:22:08] And so if people have access to internet then they would certainly be able to find where those programs might exist and whether there’s transportation. [00:22:21] Sometimes they deliver these that like congregate food sites, which are kind of a nice feature. But if they don’t have internet then I wouldn’t say call the County Department of Health. That generally you know the money flows from the state to the county forward to support these programs and they might know. [00:22:41] Another… If you live in a city that has academic institutions. You know they might have programs apart from the sort of you know community based programs. [00:22:54] And you might you know, you might also contact like YMCAs and those types of places, that are known to have sort of a community outreach side. They’re likely to do these kinds of things. [00:23:08] So Internet would be my first. I’d look around I think you’ll find something. But if not I would call County, Universities, YMCAs. Diane Berardi: [00:23:19] You know I think it would be great if… Like I’m thinking I’d love to take a Tai Chi class with my dad. Dr. Bob Wood: [00:23:27] That Awesome. Dr. Bob Wood: [00:23:30] Well it’s a great thing about… well, I need to sell Tai Chi a little bit because you know it sounds kind of like to some people aren’t familiar with it like a little bit kind of mystical and this kind of stuff. But let me tell you something… Tai Chi… It has everything that people are looking for in physical activity, because you can do it at home. You do not get sweaty and have to take a shower afterwards. You can do it in small increments. And it’s enjoyable. [00:24:04] It doesn’t… It’s not it’s so exertional that you feel you’re stressing yourself out. And there are very few people for whom it is contraindicated or very few people who can’t do it. [00:24:19] And the programs like the Tai Chi moving for better balance, they’re really good at adaptations for people that have functional limitations. A lot of older adults got bad shoulders. Dr. Bob Wood: [00:24:34] Or it’s hard for them to get up out of a chair or these kinds of things that we talked about. And this program really is designed for those people. That’s who this is for. And quite honestly, the person that has the most to gain from a single exercise session, is the person who has not been exercising. The people that say, “oh it’s too late for me. It’s too late. I just couldn’t do it, it’s too late.” No they have more to gain from that single exercise session, that day, than somebody who’s already been doing it for years and years and years. [00:25:08] So I think you know if people gave it a try. I think they would actually find it to be pretty cool. The thing that a lot of people will feel at first is that, well, you know it’s, “you know, I don’t know if I have that move down… That particular way of moving I don’t think I have it perfect.” You don’t have to, to get the benefit. Now, if you wanted to be a master Tai Chi teacher. Yeah. You’ve got to be perfect at it. But that’s the goal here. The goal is to be utilizing your body in certain ways to maintain your postural stability and balance in all those things. And so this is just you know Tai Chi is just awesome. I am a believer. Diane Berardi: [00:25:50] That’s great. So how can people find out about your research? Contact you? Dr. Bob Wood: [00:25:56] Well my e-mail is pretty easy. Is BobWood@BoiseState.edu. So that’s probably the easiest way to get me. [00:26:06] You know, I’m more directing programs right now. I’m not as quite involved in the actual delivery of the research based programs, but we have some. And we have a center for the Study of Aging, here. And so we want to develop programs for older adults. We’re implementing some, and want to do some more. [00:26:29] So I hope to keep my hand in the research, but I certainly am going to be keeping my hand on what’s going on in the community and trying to contribute in these kinds of ways. Diane Berardi: [00:26:42] Thank you so much. Dr. Robert Wood, for being here. What a great show and great information. Dr. Bob Wood: [00:26:48] Well, it’s my pleasure and I hope we can talk again soon. Diane Berardi: [00:26:51] Oh we look forward to it. Definitely. [00:26:54] Parents Are Hard To Raise® family I love getting your e-mails and questions so please keep sending them. 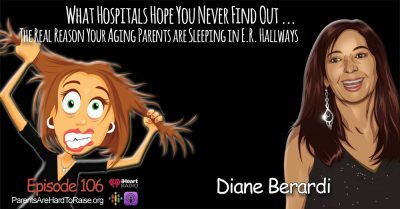 You can reach me at Diane@ParentsAreHardToRaise.org. Or just click the green button on our home page. [00:27:05] Parents Are Hard To Raise® is a CounterThink Media production. The music used in this broadcast was managed by Cosmo Music, New York, New York. [00:27:12] Our New York producer is Joshua Green. Our broadcast engineer is Well Gambino. And from our London studios the melodic voice of our announcer, Miss Dolly D.
[00:27:23] We love our parents, but parents truly are hard to raise. [00:27:28] Thank you so much for listening. Till next time… May you forget everything you don’t want to remember, and remember everything you don’t want to forget. [00:27:37] See you again next week.